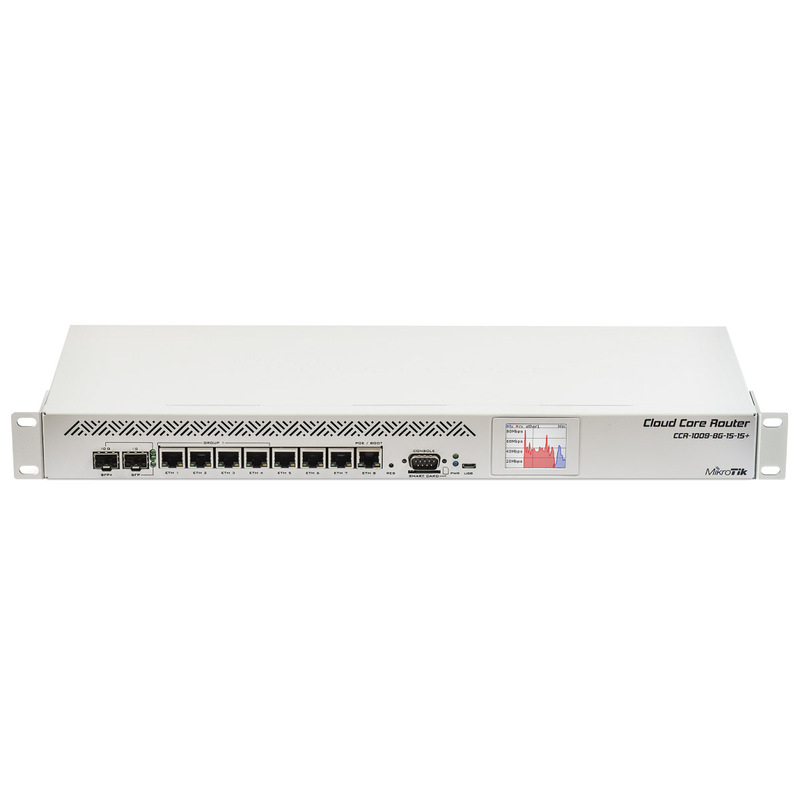 The CCR1009 is a powerful Ethernet router based on the cutting edge TILERA 9 core CPU. CCR1009-8G-1S-1S+ comes with 2GB of RAM, eight Gigabit Ethernet ports (Ether1-4 are in a Switch group), one SFP port and one SFP+ port with 10G support (SFP module not included). CCR1009-8G-1S-1S+ model have dual power supplies built in for redundancy (if one power line fails, the other one will take over automatically). Also, CCR1009-8G-1S-1S+ supports a Smart card, to store your private key for use in all features that support Certificate based authentication. SFP+ port supports SFP (1.25G) modules as well.